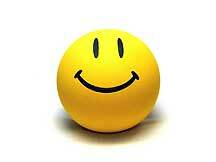 Come On, Get Happy! We’ve Added More New Songs and Artists to the Pure Pop Radio Playlist! 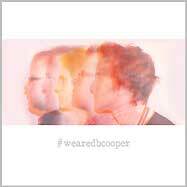 It’s New Music Thursday! Bringing you songs and artists new to the Pure Pop Radio playlist is our favorite thing to do in the whole wide world. We sure do know the feeling that hits you when you read about and then hear something that makes you smile–something that raises the hair on the back of your neck and makes you tap your toes, or dance the night or the early afternoon away, or take up air guitar or air piano or air celesta. In some measure, and this is a well know truth–in some measure what you hear changes your life, and when that happens, well, we’ve done our job. 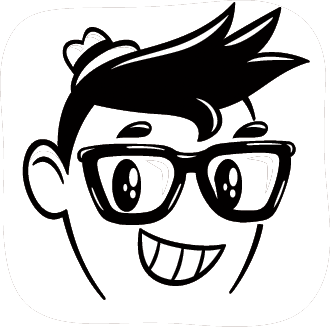 So here is some more music that’s currently spinning in rotation–music that will make you happy! Popboomerang Records | (PB:100) Popboomerang Records’ Scott Thurling knows how to throw a party. He’s celebrating the 99th record released by his company with a gala, 100th musical extravaganza–a two-CD set stocked deep with specially-recorded and previously-unreleased tracks from his label’s artists and friends. 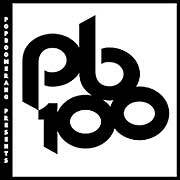 (PB:100) features 32 smashing songs from a diverse roster of artists. Job well done: we’ve added 11 great numbers to the playlist, including the Solicitors’ quirky “His Robe” and Kelly’s Heels’ “Popboomerang,” a catchy, upbeat label-history-in-song that celebrates Scott’s longstanding brief of exposing great sounds to music lovers all over the world. The aforementioned songs are now playing in rotation, along with the Killjoys’ “Marching Out of Time,” Danny McDonald’s “The Melbourne Divide,” The Little Murders’ “Kings Cross Dawning,” Central Rain’s “What a Day,” Tim Reid’s “In the Dark,” D. Rogers’ “Don’t Smile ’til Easter,” Mick Thomas’ “Mermaid Song,” Lazybirds’ “Slinky Skanky,” and Jona Byron’s “Sun Daughter.” (PB:100) drops April 1; pick up a copy and help support a worthy independent record label. Spencer Albee | Mistakes Were Made Get ready for a wild blast of cool air that will toss you across your living room, through your front door, and to the far side of your yard. Spencer Albee’s hall-of-fame worthy album, Mistakes Were Made, will thrill you, delight you, and make you beg for more. 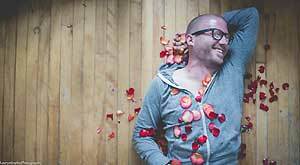 A multi-instrumental wonder, Spencer dons all manner of pop music masks: uptempo balladeer in the harmony rich title song; straight-ahead popster in “So Bad”; infectious, retro, late-period Beach Boys funster in the delectable “Put Your Sweatshirt On”; and pure popster in the melodic love song, “This Will Be Our Year.” The sumptuous tip of the hat to the late ’50s/early ’60s, the catchy “I Don’t Know,” and the four-on-the-floor rhythm happy joy of “One 2 Three” are more highlights. So is the jaunty, clapalongable “Hold Me Close,” and ditto for the heartbreaking piano instrumental, “Something Something Heartbreak.” Well, we could go on, and we will at a later date, but for now… we swear on a stack of pop album classics that this is the real deal. We’re playing almost all of these incredible songs: “Mistakes Were Made,” “So Bad,” “Put Your Sweatshirt On,” “I Don’t Know,” “One 2 Three,” “This Will Be Our Year,” “Why am I a Fool,” “Something Something Heartbreak,” “So Long,” “Please Come Home,” “Skulls,” “Love is Not Enough,” It’s Not the End of the World,” and “Hold Me Close.” A sure bet for best of 2015 honors. In a few words, this is so very grand and, in just one word…wow! Get this for your very own when it drops on May 1. Come on, get Spencer! The Davenports | “Five Steps ’15” and “Away from Me” This latest release from Scott Klass and the Davenports, a true double a-side single, pairs a newly-arranged and remixed version of “Five Steps,” which originally appeared on the group’s debut album Speaking of the Davenports and continues to be part of the A&E network show, Intervention, with the brand-new song, “Away from Me.” Full of slightly obtuse imagery and the usual mastery of language, “Away from Me”‘s lyrics make a case for disconnection. Yin meets and overpowers yang: “There’s a heart around a number on the paper in the case/In a glove compartment–chaos by the seat loved out of place/With a boy beside the window with an answer in your face/Smiling as he drives away from me.” And, yang meets and topples over yin: “Every mile up in the air/Every masterful win–I’d burn it to cinders/To be tangled up in your hair/Sturdy inside September.” The song starts out as sort of a lazy country and western number, but the slightly ominous-sounding strings cast a pall over the proceedings. Scott’s sturdy yet rubbery vocal in the chorus creates added tension even as it carries forward as a beautiful expression of melody. 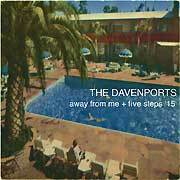 It’s another superb song in a long line of superb Davenports songs, and we’re now playing it, along with “Five Steps ’15,” in rotation. 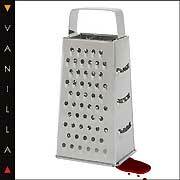 Vanilla | “Katherine the Grating” Variety is the chief spice in Jayson Jarmon and company’s rack, as evidenced by the new, twelfth song released as part of the growing album-to-come, Vanilla 2.0. A bouncing snare drum leads into a lively, show-type catchy tune, all surface smiles and virtue with a darker purpose afoot: a girl leaves her baby’s care in her guy’s hands. She vamooses. She’s a no remorse kind of gal: “Why oh why did the rabbit die?/Leaving me up to my eyes in diapers.” She isn’t called Katherine the Grating for nothing. When Jayson is finished with Vanilla 2.0, expect and, well, demand that it winds up on every best of 2015 list known to man…or Katherine. Awesome. 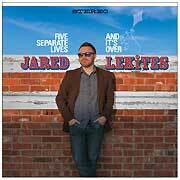 Jared Lekites | Five Separate Lives We’re always thrilled to bring new music from Jared Lekites to your waiting ears. This time around, Jared has released a single featuring two songs written for the soundtrack of the movie, You’re Killing Me. 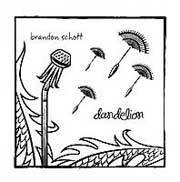 “Five Separate Lives” is a bouncy pop song with a great melody; a lovely middle-eight; and a great, catchy chorus. “And It’s Over,” a chronicle of a broken relationship, is a marvel of a number with soaring vocal harmonies and a luscious melody. Of course, we’re playing both of these songs in rotation. 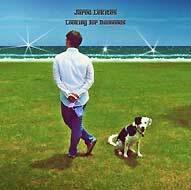 Next up: Jared’s upcoming album with Connor Anderson, billed under the name the Lunar Laugh. We can’t wait. 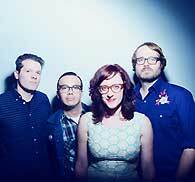 Miss Tess and the Talkbacks | “One Match Fire” We’d never heard of Miss Tess and the Talkbacks prior to bumping into this joyous and masterful country-rock number, being released on Record Store Day this coming April 18. Until you can hold this limited edition 7-inch in your hot little hands, you can hear it playing in rotation on Pure Pop Radio. It’s a great number, another don’t miss track, without a doubt. 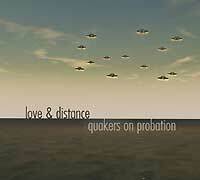 Quakers on Probation | Love and Distance Pop and rock and roll and a dash of contemporary spice are at the heart of this band from the Pacific Northwest. Their songs are atmospheric and catchy and we’re spinning five from this terrific album: “Cosmic Crawl,” “The Honorable Mention,” “Love and Distance,” “Story of Your Life,” and “Out of the Blue.” Great stuff. A strong lineup of artists and songs, wouldn’t you say? We’ve got more treasures coming up next week. Keep listening to Pure Pop Radio for the greatest melodic pop from the ’60s to today! 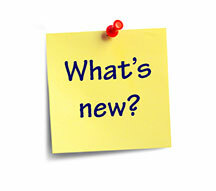 Tune In and Turn Us On: Pure Pop Radio has More New Music for You, You and You, Too! We’re always listening to music here at the well-appointed, Ikeafied Pure Pop Radio headquarters. Headphones on or headphones off, we’re constantly looking for just the right sounds that we can add to our ever-growing playlist. We’re dedicated, we’re steadfast, and we’re here to say we’ve found some more great platters that do indeed matter. Vanilla | “South Tacoma Way” It goes without saying that Jayson Jarmon and his band of merry musical souls are held in the highest of esteem by our singular staff. 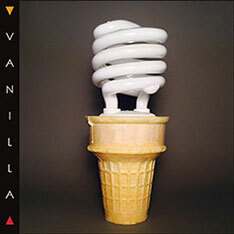 Releasing one song a month toward the completion of an album-length release to be called Vanilla 2.0, Vanilla have been wowing us with their seemingly no-holds-barred way of coloring outside of the lines. The retro, clarinet-fueled, Harpers Bizarre vibe of the group’s latest song, “South Tacoma Way,” is a kind-of close cousin to last month’s wacky and quite insane (in a good way) “Monkeypox,” because, well, monkeys play a prominent role here, as well they should. Dana Countryman | “What If” Written for his wife this past Valentine’s Day and slated to be a part of his next album, Dana Countryman’s “What If” is a sweet, Harry Nilsson-esque love song with wonderful, imaginative lyrics (“Would you just look at me like I’m crazy/And maybe I’m crazy, it’s true/But I could be handy and fix your toaster for you”) and a lovely chord progression that surprises and delights. Alone at the piano, Dana has crafted yet another classic song, and we’ve got it spinning in rotation. A Pure Pop Radio exclusive (thanks, Dana!). Jean-Jacques Perrey and Dana Countryman | “Beyond the Milky Way” Dana Countryman and his longtime friend and collaborator Jean-Jacques Perrey, the French creator of cool electronic music, birthed this ELO/Klaatu-sounding number, which features a lovely melody and a computerized vocal. 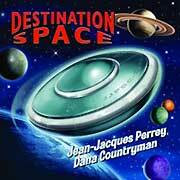 “Beyond the Milky Way” is the only song with a vocal done by the duo; it’s from their 2008 album, Destination Space. 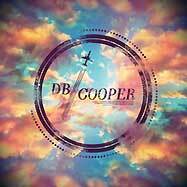 We’re proud to be featuring this great song on Pure Pop Radio. 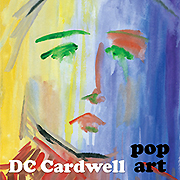 DC Cardwell | Bonus Tracks from Pop Art Because we can never play enough of DC Cardwell’s songs, we’re spinning the three bonus tracks that accompany his latest album: “Birthday Present,” a gorgeous ballad with lovely background vocal harmonies and atmosphere to spare; a guitar instrumental version of Pop Art’s “In the Cloud”; and a uke and bass version of “Know Me,” from DC’s Some Hope album. 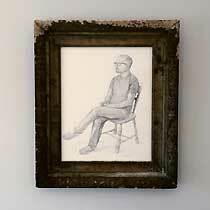 Sweet stuff from one of our favorite singer-songwriters. 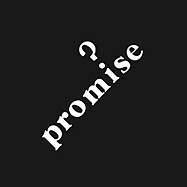 Promise | Promise This privately-pressed classic, originally released in 1980 on Promise’s own label, Cumulus, and rescued for reissue (from the original master tapes) by Got Kinda Lost records, is a wonderful power pop album that fans of Badfinger, Emitt Rhodes, the Sweet, and Raspberries will love. A couple of cool rock and rollers bookend the album: “Say Allright!,” a number that sounds like it was taken off Badfinger’s No Dice album, and the mid-tempo, harmony-rich “Putman’s Ranch.” We’re playing all but one song in rotation: the two aforementioned tracks, plus “Back in My Heart,” “Guitar,” “Later on Tonite,” “Hands of Luck,” “Lucky Star,” “The Find,” and “Captain Domino.” The find of this young year. 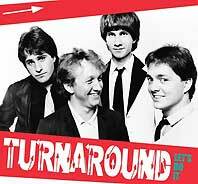 Turnaround | Let’s Do It Zero Hour Records has done its usual great job compiling this classic Australian band’s previously-released tracks and unreleased demos for a 16-song audio bonanza that power pop fans will love. Sounding like a cross between Shoes and the Cars, the band makes a splash with rockers “Turnaround” and “Nobody’s Child,” and the lovely, mid-tempo ballad, “Is It the End,” which sounds like it’s being sung by Steven Lindsay from the Scottish band, the Big Dish. We’re playing the aforementioned songs, plus “I’m Here for You,” “I Need You,” and “Boom.” Great stuff. 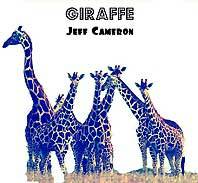 Jeff Cameron | Giraffe Featuring the talents of Adam Marsland and Three Dog Night’s Chuck Negron, who duets with Jeff on the powerful “Heroes,” Giraffe is a solid collection of pop-rock numbers that will surely catch the ears of listeners. We’re playing “Heroes” and four other songs in rotation: the melody-rich, melodic stomper “Princess Blue”; the beautifully-sung, hooky “Two Hearts One Love”; the early Prefab Sprout-sounding “Let It Roll”; and the catchy “Long Island Sound,” which sports an infectious middle-eight and cool background vocals. Another great addition to our playlist. 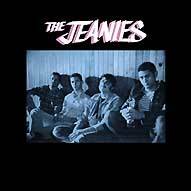 The Jeanies | The Jeanies Thanks to Ray Gianchetti at Kool Kat Musik, this album, previously released only on cassette and as a download, gets a proper CD release. This Brooklyn, New York quartet rocks a heady combination of garage aesthetic with sprinkles of Badfinger, Chuck Berry and T. Rex. We’re spinning three songs: the straight-ahead pop-rocker “I Think You’re the Wrong One,” the rocker “It’s for You,” and the T. Rex-into-Chuck Berry high-energy rocker “The Girl’s Gonna Go.” Sweet. Tune in to hear these and more than 6,300 other melodic pop songs playing in rotation on Pure Pop Radio. 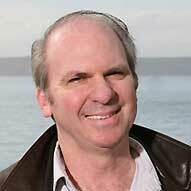 Click on one of the links below to listen. We’re broadcasting to the world 24-hours a day!